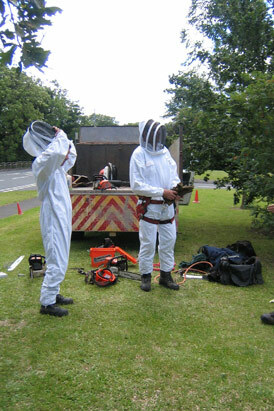 Getting kitted out in protective gear. Simply click on the thumbnails above to view the photographs of our various jobs. They are all grouped into Job Series for your viewing ease.